The circumstances surrounding the death of famed writer and poet Edgar Allan Poe are just as sordid as the details of his relatively short life. Poe met his end at the young age of forty in 1849, just days after being found barely conscious in the gutter in Baltimore, in what was reported to be some sort of raging stupor. To this day, the actual cause of his death is hotly debated by historians, both of the armchair and professional varieties. Theories still abound concerning Poe’s demise, ranging from diseases such as rabies, syphilis, or a brain tumor, to alcoholism and drug abuse, to suicide, and beyond. The aforementioned handful of common theories are all within the realm of possibility, but they are all regularly refuted in favor of another in the historical discussion circuit. However, no one cause has ever been pinpointed and settled upon with any certainty, making the writer’s departure from this world one of the greatest mysteries in American history. The debate rages on, but there has to be an explanation as to why Poe’s life was cut so short, and one particular suspicion has piqued the interest of Poe’s biographers ever since his death. That Poe was allegedly the victim of “cooping,” which was a widely-used method of rigging elections in which people were kidnapped off the street, drugged, and sometimes beaten, and forced to vote over and over again at different ballot locations, is a much more interesting and compelling hypothesis as to Poe’s observed state during his final days, and to his as-of-yet unexplained death. The cooping theory relating to Poe’s death explains why when he was spotted lying in the gutter outside a polling location in Baltimore, he was wearing someone else’s clothes. “Cooping” gangs grabbed people off the streets, pumped them full of booze and drugs, and often changed their clothes repeatedly so that voting could take place several times at one location. 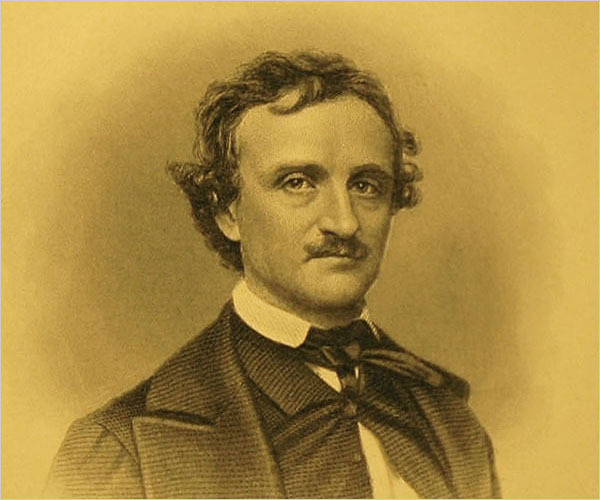 According to Natasha Geiling, an online reporter for Smithsonian Magazine, “voter fraud was extremely common in Baltimore around the mid-1800’s, and the polling site where Walker found the disheveled Poe was a known place that coopers brought their victims.” (Geiling, Smithsonian Magazine) Furthermore, Poe was not known to be a shoddy dresser, so the fact that he was found in shabby, ill-fitting clothes likely means that due to the mental state in which he was found, he did not dress himself that way. Israel Centeno argues that “Poe was a passer-by, and travelers like him were perfect for kidnapping and holding captive in a tiny room.” (Centeno, Sampsonia Way) Those rooms, known as “coops”, were staging areas for this extreme corruption, in which the victims, typically travelers or the homeless, were beaten, and otherwise coerced with drugs and alcohol to do the kidnappers’ bidding at the polls. That fact alone, be it physical abuse and the ingestion of mind-altering substances provides an ample explanation for Poe’s apparent mania during his final hours. The cooping theory is offered as the primary explanation of Poe’s death in the majority of his biographies, but nonetheless, it has met its fair share of opposition. Perhaps the foremost detraction from the solidity of this theory is that Poe was too well-known in Baltimore and would have been too easily recognized at polling locations (Edgar Allan Poe Society of Baltimore). However, because the gangsters that ran cooping schemes changed the clothes of their victims several times throughout election days, and even employed other disguises such as wigs, fake beards and mustaches, it is entirely possible that Poe fell to this misfortune, with no officials at the polls being the wiser. (The Medical Bag) While there was allegedly a letter that existed written by someone who actually spotted Poe in one of the “coops,” it can be argued that he was well-disguised before being dragged around to vote (Edgar Allan Poe Society of Baltimore). Because of the number of possible causes of Poe’s death, the challenge lies in eliminating the offerings that hold less water than the others, by process of elimination. As John Carl Miller wrote in Building Poe, “The actual facts are less discreditable than the common reports published. Poe came to the city in the midst of an election, and that election was the cause of his death.” (Edgar Allan Poe Society of Baltimore) What Miller means is that it is more difficult to rightfully refute the evidence that supports the cooping theory than it is to do the same to the reports that Poe was killed by rabies or voluntarily drinking himself to death. According to an article written by the University of Maryland Medical Center in 1996, the symptoms of Poe’s delirium during the days leading to his death are consistent with signs of rabies, but no autopsy was ever conducted after his death, and although he had pets, there was no sign that he was bitten by any of the animals. (Edgar Allan Poe Mystery) It has also been long reported that Edgar Allan Poe had a penchant for indulging too heavily in spirits, but accounts of his alcoholism are still too widely disputed to be tapped as the singular cause of his death. In 1849, Edgar Allan Poe started making his way from Richmond, Virginia to New York, but he never arrived at his destination. His whereabouts for some time are still shrouded in mystery, but above all else, the most logical explanation for his death is that he fell victim to a cooping scheme. Because there is no solid evidence that Poe had rabies, or a brain tumor, and because accusations of his alcoholism were widely rebutted, the evidence that explains Poe’s appearance, health and state of mind when he was found in Baltimore take prominence in this case. The world may never see proof of what killed one of the most famous writers and poets who ever lived, but to satisfy the desire for an answer, the facts that do exist point to only one logical conclusion, that Poe was kidnapped, beaten and drugged, and left to die after being forced to participate in voter fraud. Geiling, Natasha. “The (Still) Mysterious Death of Edgar Allan Poe.” Smithsonian Magazine. http://www.smithsonianmag.com. Web. 7 October 2014. “What Killed ‘Em: Edgar Allan Poe.” The Medical Bag. http://www.themedicalbag.com. Web. 10 October 2013. Centeno, Israel. “The Cooping Theory.” Sampsonia Way. http://www.sampsoniaway.com. Web. 4 June 2013. “Edgar Allan Poe Mystery.” University of Maryland Medical Center. http://www.umm.edu. Web. 24 September 1996.